Sanity Claws Radio – The State of DLC! We check in on the state of DLC in gaming on this episode of Sanity Claws Radio. Scotty, Karen, Lyndsay, and Jon take a look at the current state of DLC in gaming to see if the promises made about downloadable content have come to fruition. We talk about the promises, how well it’s fared and the current fad in gaming, microtransactions! Also, Jon finds ways to make himself even more sad, Lyndsay gives her cartoon report, Karen craves more yarn, and Scott is salty! And finally, we wrap up the show with lightning quick round of I Can Top That! Join in won’t you? 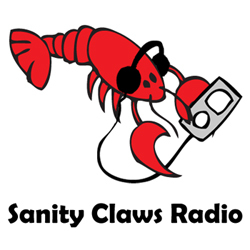 ← Sanity Claws Radio – Extended Roundtable Early 2017!